We believe empathy is the key to exceptional Veterinary Care. We strive to achieve excellence and meet each client and patient's individual needs’. With a ‘Big enough to cope, small enough to care’ attitude our seven branches serve their local communities with the care, attention and dedication that you would expect. 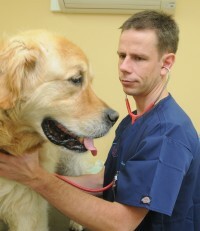 Owner and patient care is undeniably our first concern. Local branch surgeries provide clients & their pets convenience & continuity of care. With unparalleled cutting edge facilities our main hospital provides on-site 24 hour care and a 24 hour emergency service; we do not use any deputising service - ensuring that the Vet on call is always an employee of Drove with full access to your pets' medical history. At Drove, we believe empathy is the key to exceptional Veterinary Care. We strive to achieve excellence and meet each client / patient’s individual needs. Our main hospital provides on site 24 hour care with cutting edge facilities and our dedicated team work throughout our branches across Swindon and the surrounding area. We have been clients of The Drove for over 20 years as they have looked after all our pets which included 14 dogs, 2 cats, and in the old days 15 horses. Apart from routine vet care, The Drove has always been there for them for emergencies and other problems and has treated them with great skill, respect and kindness. We recommend The Drove to any pet owner without hesitation. Best vets I have used after my cats few hospital visits a few months ago. Very caring and compassionate. Kept updated every step of the way with cats progress, as well as the quote and very prompt at sorting insurance docs, which I have not been used to at previous vets. Great facilities and they are not all about the money. If they don't need to do something, they won't, even if it had been quoted. Definitely recommend!